Latest News – Whiting & Partners Announces Promotions. 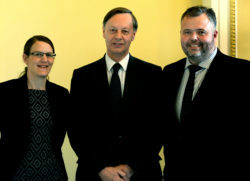 Among the oldest independent firms of chartered accountants in the eastern counties, Whiting & Partners, has announced promotions including two new Partners and three Associates. The two new partners are Amanda Newman and Keith Day. 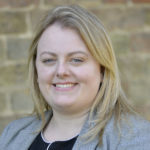 Amanda joined the firm in 2000, when she began studying for the AAT accounting qualification. She soon progressed to study with the Institute of Chartered Accountants England & Wales, qualifying in 2006. 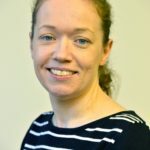 She has a keen interest in start-ups and the opportunities this offers to be of assistance to them in their early days of set-up, guiding them through incorporation of a company, handling book keeping and all of the compliance issues that come along with starting a business for the first time. She chairs the firm’s Start-up group. Keith is a Corporate Services specialist with a client base which includes foreign controlled UK subsidiary companies and UK branches. Keith joined the firm in 1997 after finishing his A Levels at Hills Road Sixth Form Centre, Cambridge. Training with the firm in their Wisbech office, he qualified as a Chartered Certified Accountants in February 2001 passing all examinations at the first attempt, he is now a resident partner at Wisbech. Keith is responsible for a growing diverse portfolio of corporate and non-corporate clients but has a keen interest in both manufacturing and haulage businesses. He has a wide knowledge and experience of all aspects of accountancy and tax services although with a bias towards audit and owner managed corporate businesses. The new Associates are Stephen Malkin from Wisbech who is based in the Kings Lynn office, Jonathan More from Yaxley, near Eye and Paul Jefferson from Godmanchester. Whiting & Partners, celebrating its 90th anniversary this year, has over 150 staff with 15 Partners and five Associates in eleven offices across the eastern region.